We’ve officially made it to May, UIUC! Once we ace all of our finals, we’ll be cast off into the lazy, sun-kissed months of summer. Regardless of what your individual plans for the next few months are, you’re going to want to dress smart and stay well-protected against the sun’s sizzling rays. That means stocking up on plenty of sunscreen and finding a pair of sunglasses – but not just any pair! Over the years, sunglasses have evolved into more of a statement accessory, combining practicality with fashion-forward design to create a wow factor for any look. With a plethora of different styles available, you are bound to find a pair of sunglasses that best suits your sense of fashion. 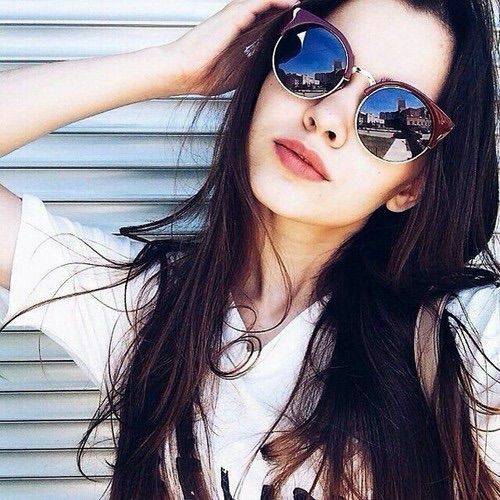 Here is an analysis of some of the most popular types of sunglasses, complete with summer outfit ideas so that you can plan on looking radiant all throughout the break. These slick shades were initially created in 1936 as protective eyewear for pilots, but have since become one of the most widely worn pairs of sunglasses. While classic lens colors such as black, brown and green/gray continue to be popular, many companies offer reflective aviators in almost every color of the rainbow, perfect for adding a flash of color to your own look. How should I wear them? The beauty of aviators is that their simple yet modern design goes great with most outfits. They could give a casual look a polished twist, or an extra touch of sophistication to a fancier one. Personally though, I think that aviators best complement an on the go sort of outfit. They’re the perfect shades for everyday activities, something you can put on before running errands, for going on a daily jog or enjoying a summer drive with the windows down. They’re basic, they’re stylish, and they’ll never look out of place. 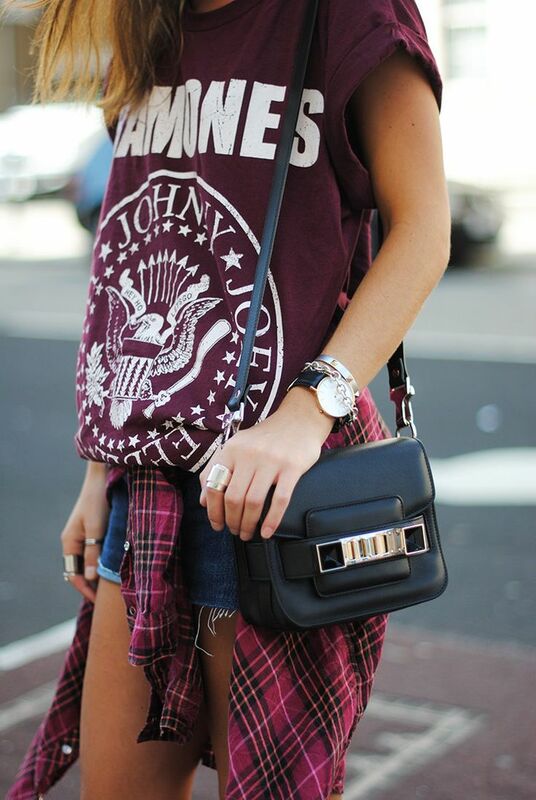 You just can’t go wrong with aviators. These sunglasses are quite simply the cat’s meow (pun definitely intended). Elegant and sophisticated, cat eye sunglasses make an instant statement whenever they are worn. Oversized cat eyes have become especially popular, giving your eyes more coverage while giving your outfit an extra-large dose of glamour. Because of their unique shape, it’s important to dress cat eye sunglasses accordingly. A more refined or charming outfit would be best. If you’re going to a dinner party or social gathering, or are planning on vacationing overseas, make sure you have a pair of cat eyes with you. These sunglasses are sure to generate conversation and make you the “it” person of whatever events you attend this summer. These circular shades have a personality all their own. Ranging from very large lenses to very small, round shades have a funky look that set them apart in a crowd. Round sunglasses are the ideal addition to any boho or indie-inspired outfit. They’re the go-to shades for concerts and music festivals, backyard cookouts and bonfires, bike rides and nature walks. If your goal is to be active, spirited and carefree, round sunglasses will reflect your aspirations perfectly. Ray-Ban’s signature pair of sunglasses, wayfarers are known for their plastic frames and classic shape. Their durability and basic design make them an appealing eyewear choice for many. While they work with a variety of styles, like aviators do, I see wayfarers best suiting a more edgy or even grunge look. If you’re going for a more direct statement with your outfit, these sunglasses are definitely the way to go. Wayfarers come in a variety of different-colored frames, so you could choose a pair in a bold color to really make your look come alive. Of course, there are plenty of other styles of sunglasses out there too. 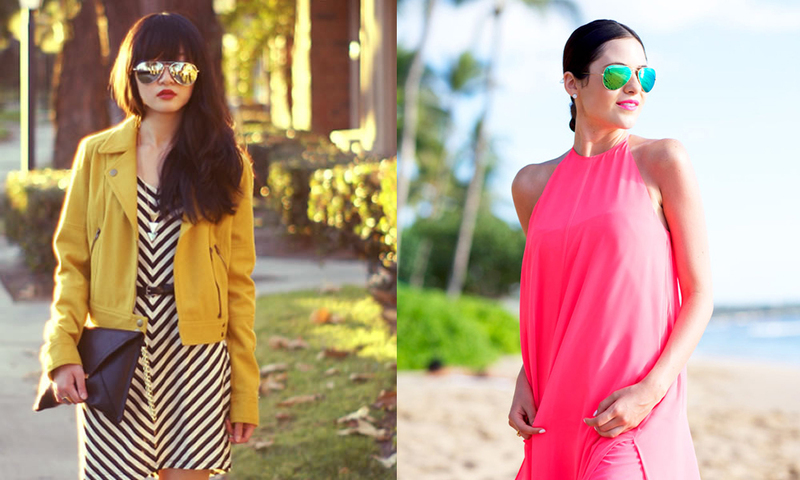 Feel free to mix and match sunglasses with your outfits until you find the combination that’s meant for you. Remember, it’s your summer and your fashion. In the end, if you stay true to what you like, your summer style will always make a splash.